Chinese authorities on Tuesday unveiled tougher policies for subsidizing the purchases of new energy vehicles (NEVs) to push for the sector's high-quality development. The Ministry of Finance said in a joint statement that the threshold of technological requirements has been "moderately raised" to support producers with advanced technology, reliable product quality and high safety standards. "[The country] focuses on supporting high-quality products with high technology, while encouraging enterprises to pay attention to safety and consistency of their products," the statement said. The new measures steadily raise the energy density threshold for the NEV power battery system, moderately raise the energy consumption requirement and raise the mileage threshold for the continuous driving of pure electric passenger vehicles. Due to factors including economies of scale and cost reduction, the country has reduced the subsidy standards for new energy passenger vehicles, buses and trucks to promote the survival of the fittest and prevent drastic market fluctuations, the statement said. After a three-month transition period starting Tuesday, local governments should stop subsidizing purchases of NEVs other than new energy buses and fuel cell vehicles and use the funds to improve charging facilities and other supporting services. If a local government continues the subsidies after June 25, its fiscal subsidies from the central government will cut accordingly, the statement said. 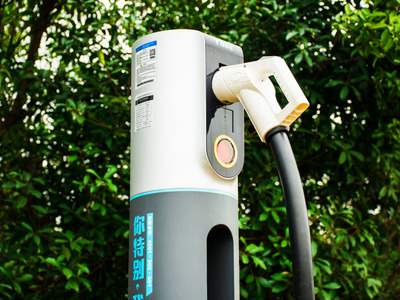 Thanks partly to the government's support policies over the past few years, China has become one of the fastest-growing NEV markets. Last year, NEV sales soared 61.74 percent to 1.26 million units, according to the China Association of Automobile Manufacturers.